Happy (7th) Anniversary . 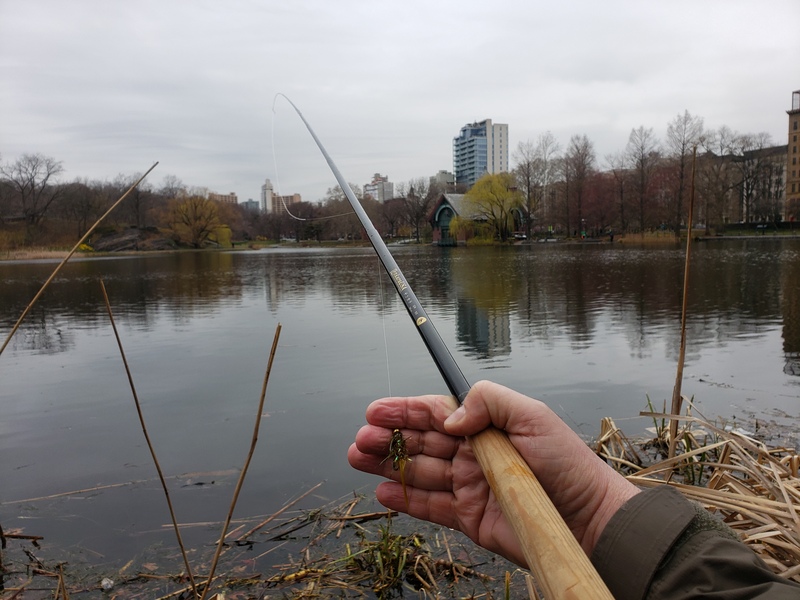 . .
Ebisu tenkara rod tipped by an Olive Woolly Bugger tied by Urban Angler’s Dennis Feliciano. The best way to celebrate seven (7!) 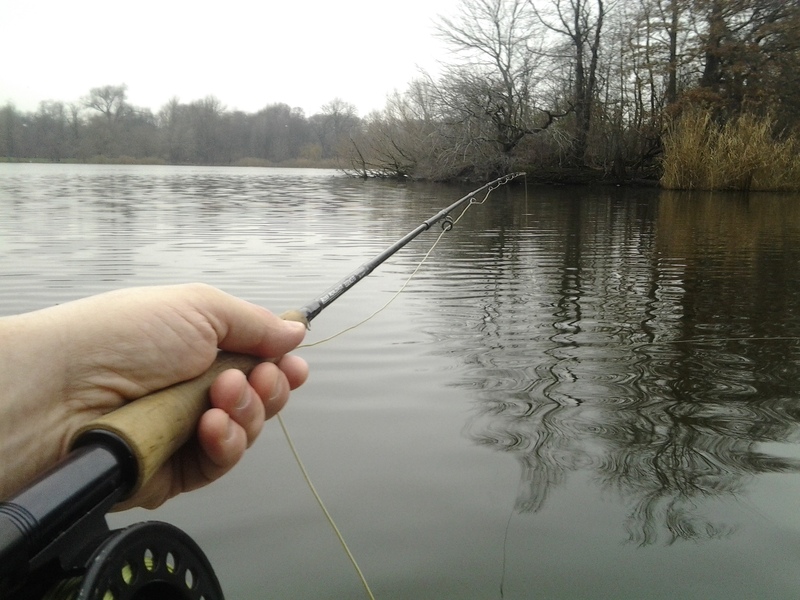 continuous years of tenkara in Manhattan was to fish, photograph, and write all about it. 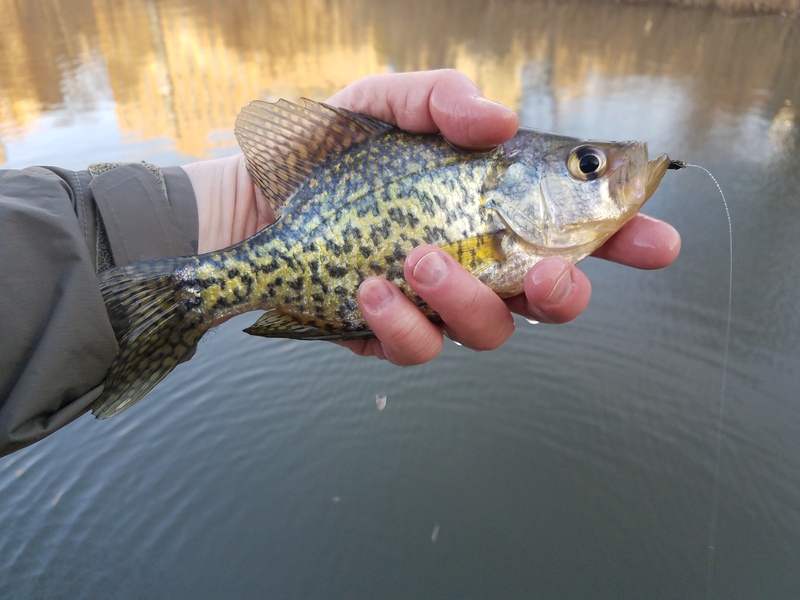 April, still mostly cold and gray, offers the local season’s most consistent angling for black crappie and the golden shiner, Notemigonus crysoleucas, a hard hitting, fast sprinting fish that in almost every way resembles its European cousin, the Rudd. Tenkara continues to take Manhattan seven years on, and counting. Happy Anniversary, TTM . . . Icing on the Lake . . .
Punxsutawney Phil predicted on February 2nd an early spring. He has been correct but for two spells of clear, cold artic gale. The ice left behind the windswept spells retreats by half after just a day or two warm enough to compell the morning doves to coo. 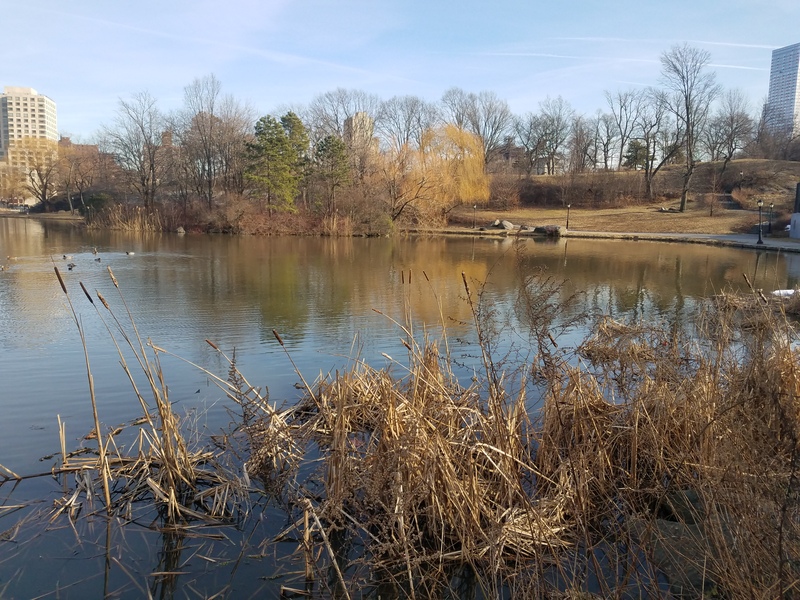 One can walk the pond’s bank, hear garrulous bluejay’s, and the polite tufted titmouse can be seen in the park’s bare deciduous trees. 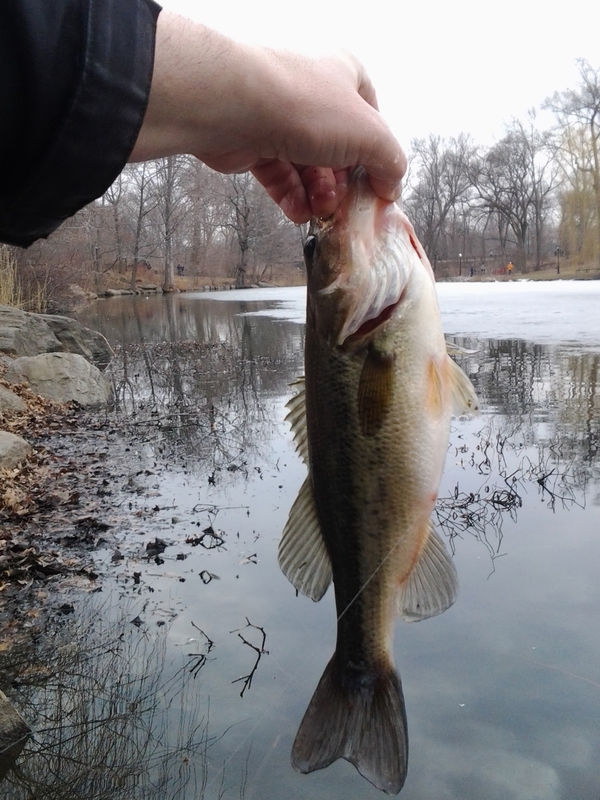 A streamer shuffled across the ice until it drops with a wake into open water can at this time of year lead to a large largemouth on the line. 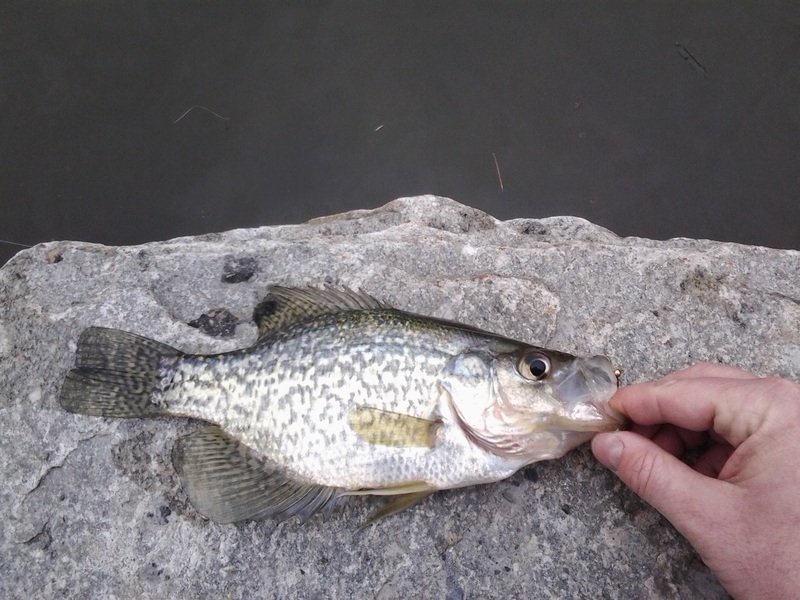 Black Crappie, too, the icing on the lake. When Sunsets are Sudden . . .
Sunsets are sudden in November. A day filled with fine mist and nimbus sky can open up, sprint into a quick dip of the sun, a sudden appearance by the moon, indigo sky meeting a horizon silhouetted for a brief period before an almost liquid tangerine infinity. Venus glows star-white bright low to the southwest. Leaves give tannin to the color tone of darker autumn water. Some lower branches of the Norway maples hold onto pennants of green and gold. Ginkgo like old gold coins pile into wind-drawn patches along the pond path. The oaks above and behind keep a full coat of the most russet leaves that whisper in low passing passages when the weather is best for angling. Mitten weather, still air, cold enough for a fingerless weave if dressed for comfort. 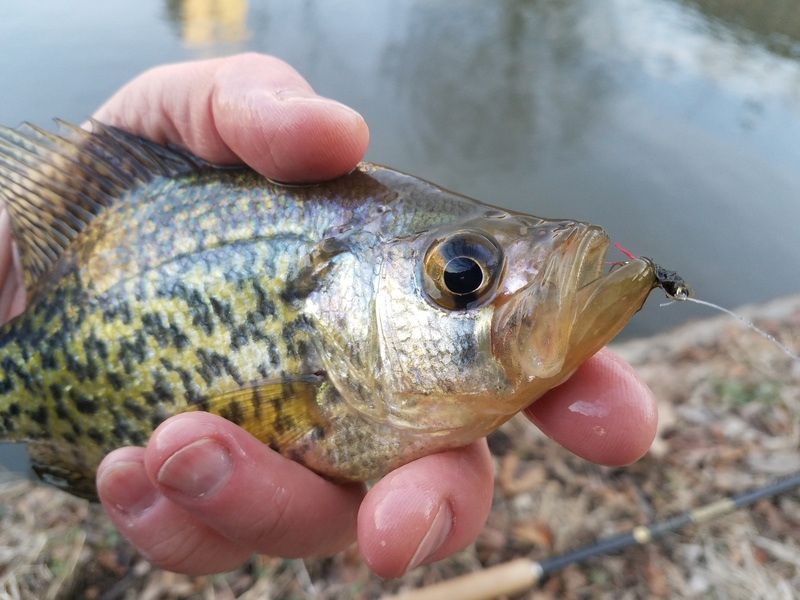 A city park light switches on and the scattered bite of bluegill juveniles ceases. 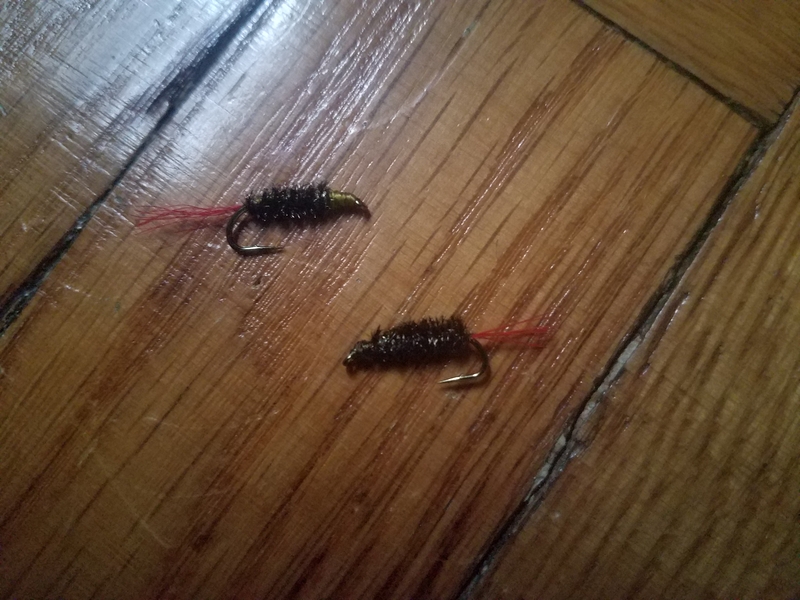 The bite become as light as the feather and fur assembled onto a crimped barbless salmon hook. 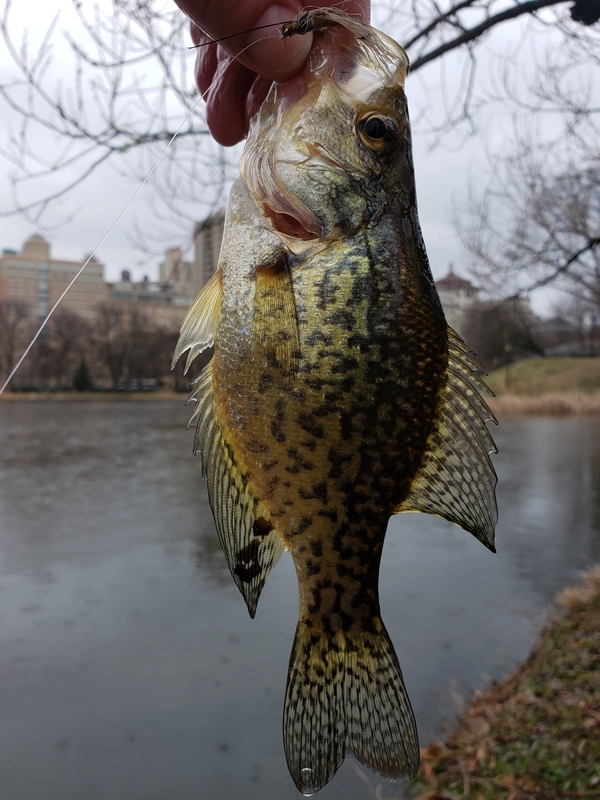 The size 8 shank gets nibbled in and a light set of the rod raised connects to heaving sideswipes repeated four or five times before the fish in net measures out to ten inches, a quarter pound. 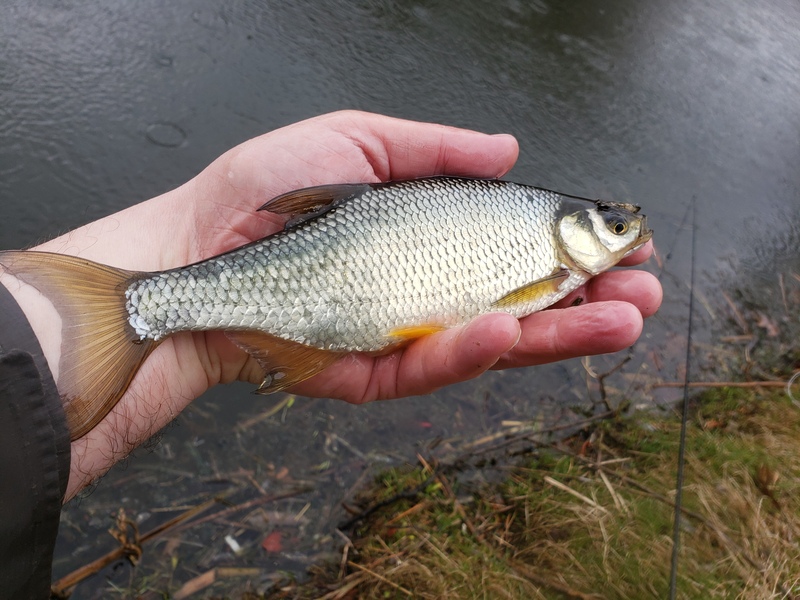 Small fish this time of year bolstered by the stronger resistance the finned ones use in the angling wrestle. Days follow that might be bright and cold and clear. The city soars into Holiday Season. The coated oaks then chatter and even roar in a strong sustained blow from the Canadian west. Days bright, best spent recasting, spent writing. 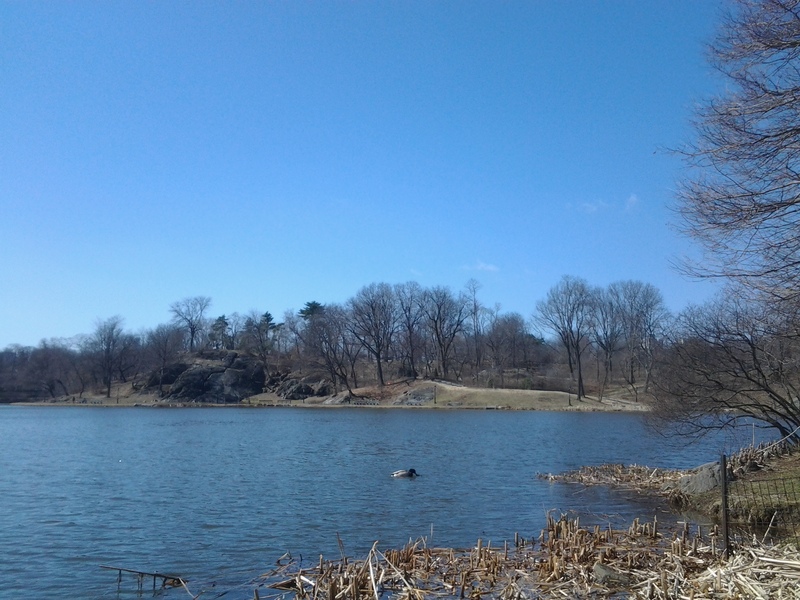 Harlem Meer, Blue Again . . . The wind was up. The sun set the high cirrus aglow. 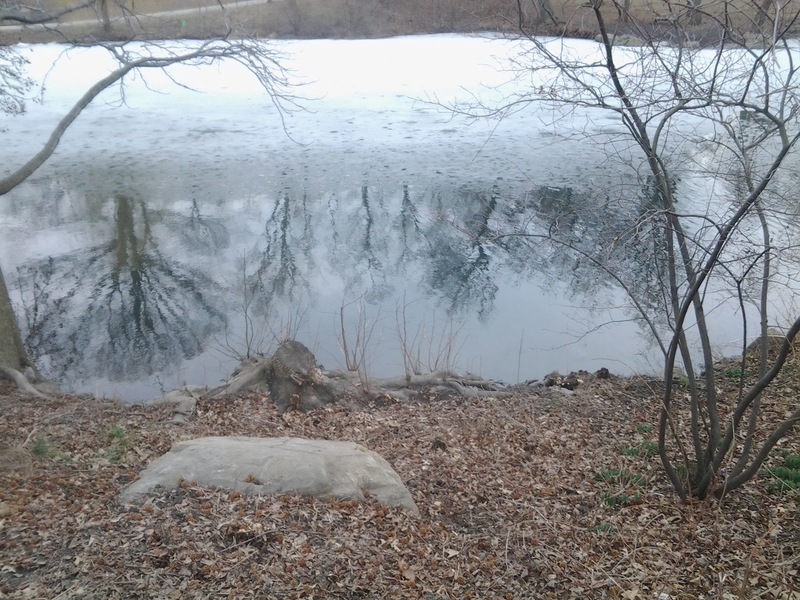 Harlem Meer reflected deep blue and, occasionally, bare trees. 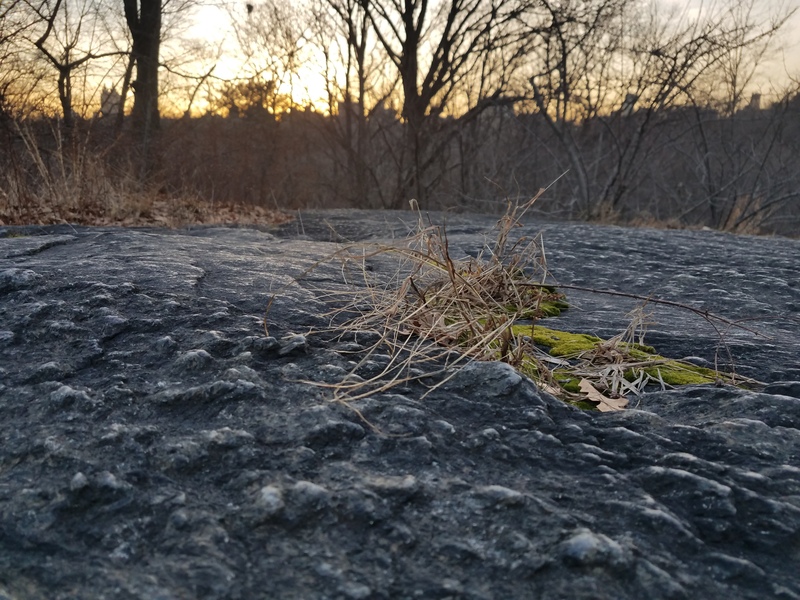 Rippled, the winded surface did not deter the birds. 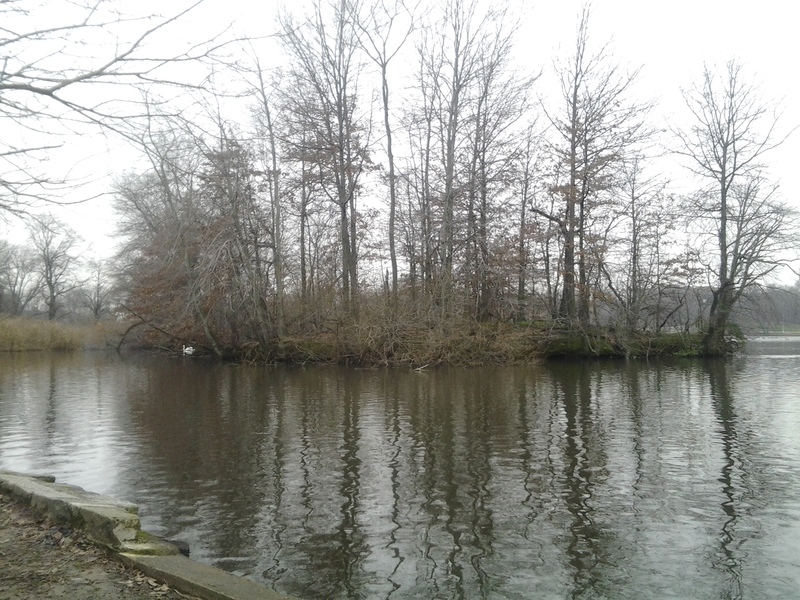 Canada Geese, Mallard Ducks, and Hooded Megansers all utilized the resource. I found myself, too, with colleagues Fergus and Jesse. We three angled urbanely for an entire Friday. The water was clear and dark, free of weed. Only the bottom, where we worked our offerings, hinted at the ragged rooted bases of plants yet to rise. 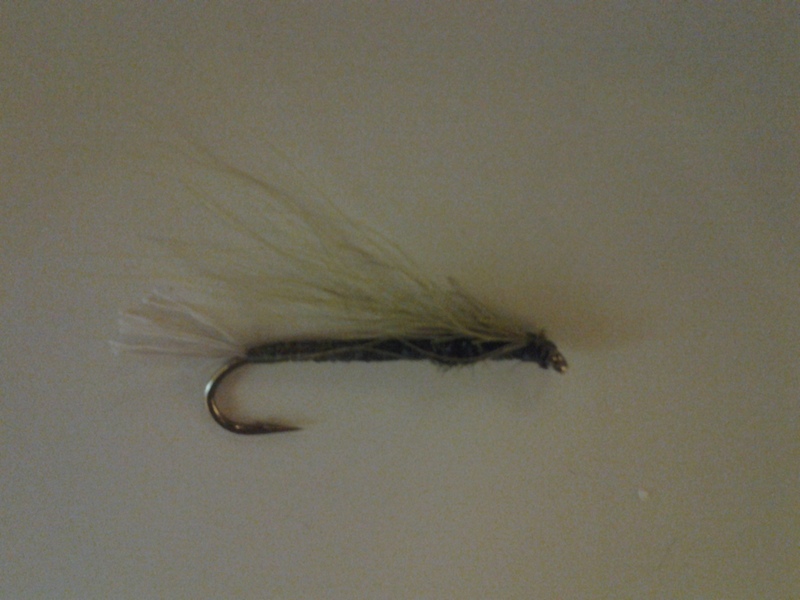 ATURAL DEER HAIR, OLIVE FLOSS, PEACOCK HERL, and OLIVE BUCKTAIL. 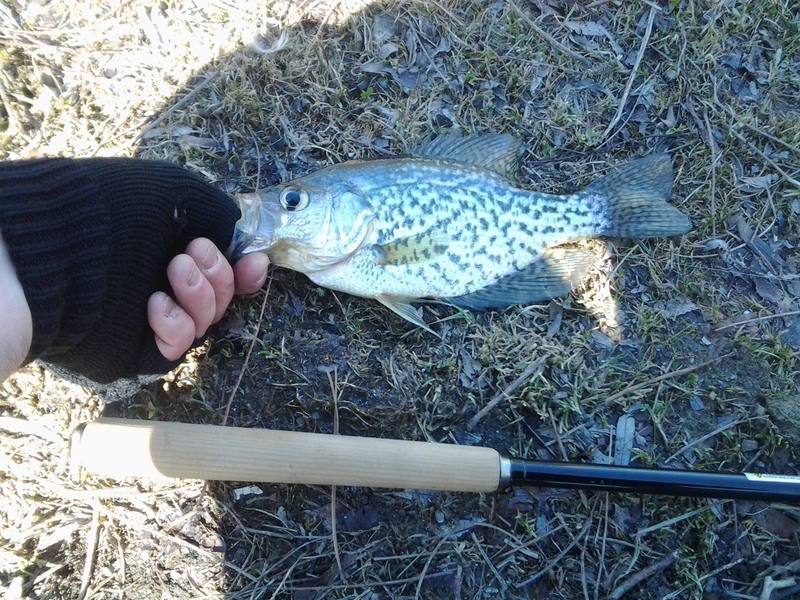 Where others using conventional fly fishing outfits and ultralight spinning outfits failed, tenkara succeeded. 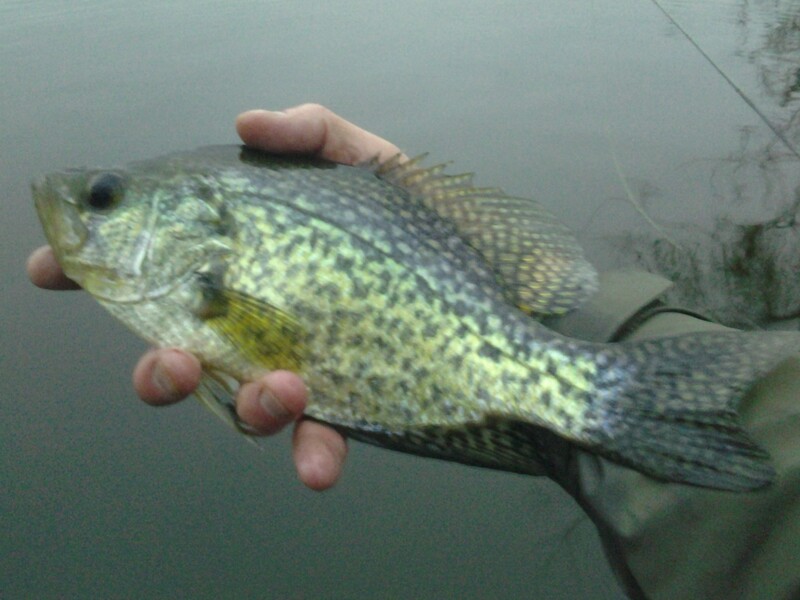 One fish fell for the delicate dance of the pattern. 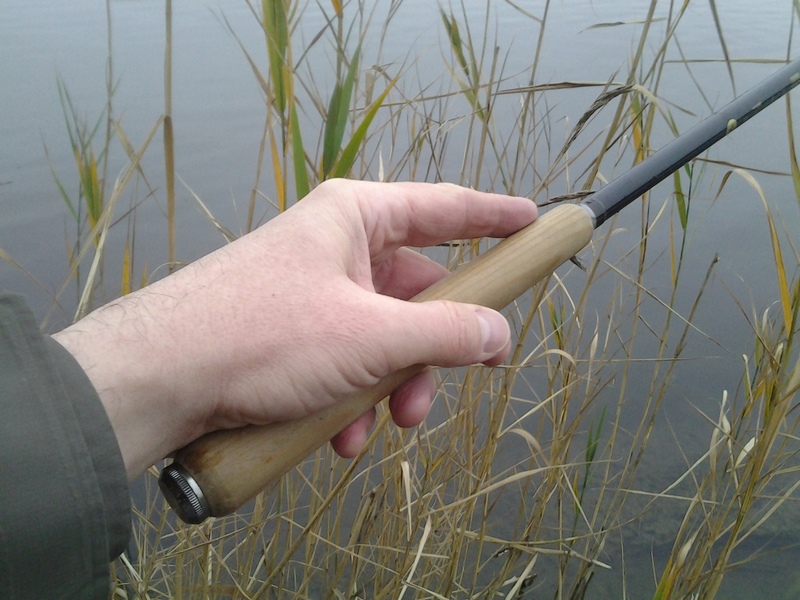 The limber tenkara tip had provided again. The day’s fishing ended on a silent moment. We three stood abreast and watched, as time lapsed in front of us, the bend of a cove letting go the last of its lock of ice.